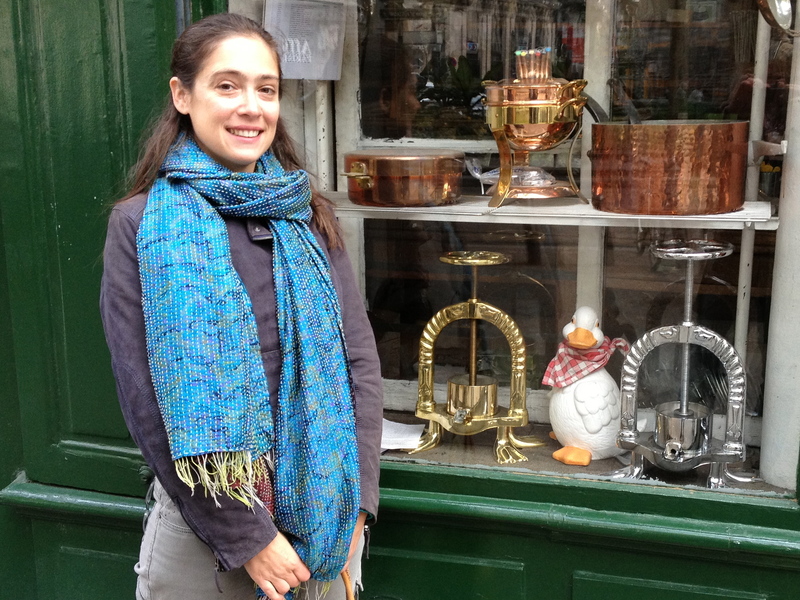 Standing outside Dehillerin’s famous cookware shop near Les Halles. Afraid I didn’t splurge on the duck press, but I did buy a sauté pan, a fish slice, two wooden spoons, and a paring knife. A pretty good haul! Published: September 19, 2013 Dimensions: 2376 × 1782 Posted in: Paris Gallery Post a comment or leave a trackback: Trackback URL.